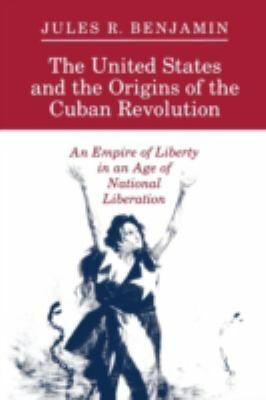 Jules Benjamin argues convincingly that modern conflicts between Cuba and the United States stem from a long history of U.S. hegemony and Cuban resistance. He shows what difficulties the smaller country encountered because of U.S. efforts first to make it part of an "empire of liberty" and later to dominate it by economic methods, and he analyzes the kind of misreading of ardent nationalism that continues to plague U.S. policymaking.Benjamin, Jules R. is the author of 'United States and the Origins of the Cuban Revolution An Empire of Liberty in an Age of National Liberation', published 1992 under ISBN 9780691025360 and ISBN 0691025363. Loading marketplace prices 142 copies from $13.96 How does the rental process work?